The weather is not yet this bad here but it is a lovely, seasonal, snowy scene and yes, this really is a picture of Middezoy in sunny Somerset in deep winter. 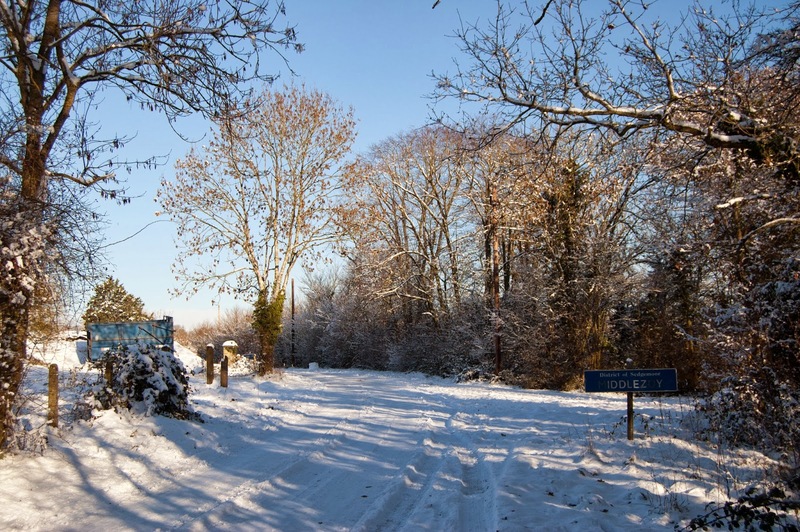 Last week we compiled a short newsletter with Christmas opening times and a Christmas card to everyone. Please click on the attached link to view the card and our holiday opening times. 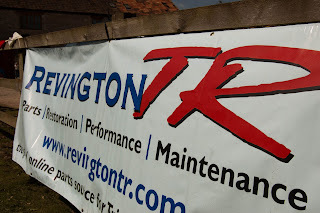 We are now looking forward to producing more blogs, newsletters and facebook posts in 2014 to keep you up to date with the latest news from Revington TR. In the meantime, have a great Christmas and New Year. I am pleased to announce we will once again be holding our open day in 2014. This year it will be held on Saturday 5th April. 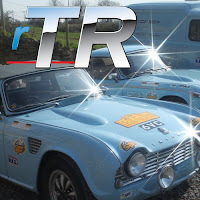 For those who have not attended before we try to fit in as much information regarding TR's and other TR related classic cars as possible into the day. 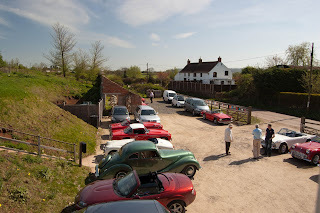 With our own cars in attendance and many great examples of customers TR's and other marques you are sure to find something you like. For the rest of the family there is plenty to see and enjoy in the local area. There is shopping at Clarks in Street, local wildlife parks and many, many walks. Taunton is also only 20 minutes away. For those who have attended before I hope you can join us again. 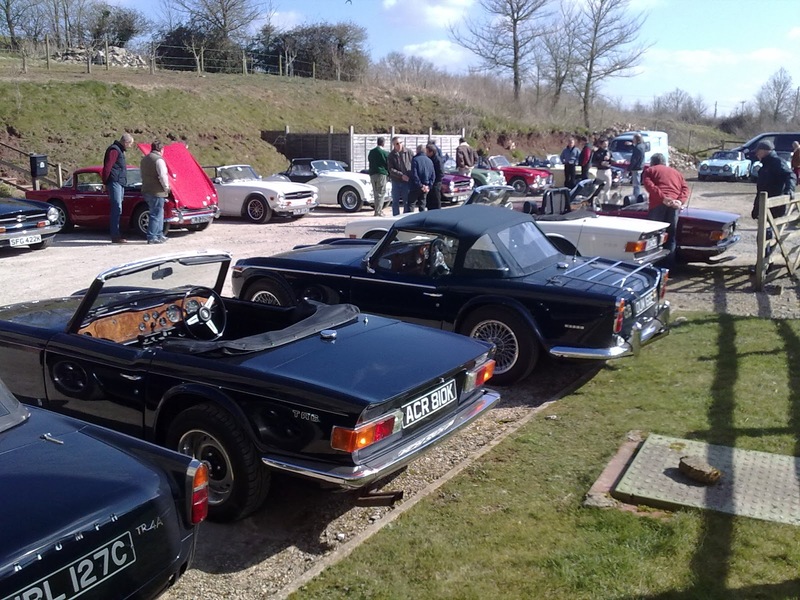 Please let your local club know and maybe have a club rally as we are possibly the first drive of the year. We already have a tyre specialist lined up to join us and impart his knowledge and wisdom on the subject of tyres for the road and racing, at least at club level. Superpro Europe will also have a display and will be able to answer all of your questions relating to polyurethane bushes.We will have a presentation by Neil on a subject yet to be finalised but if there is anything you are keen to know more about please let us know and we can add your subject to the list of options. We look forward to you joining us on the 5th April 2014. If you would like any further information please contact us on any of the numbers listed below. What will You be Doing over the Next Few Months? It looks like the best of the weather is now behind us. If you are thinking of mothballing your car for the winter or getting ready to get on with that winter project don't forget to give us a call for all your TR needs. 1. How about an indoor or outdoor car cover RTR9085, 9086, 9086B for TR2-3 or RTR9087.9088,9088B for TR4-6. 3 What about a nice halogen conversion to replace those low power bulbs if you have not already realised what a difference they make. If you really want to light up the road consider our PIAA bulb alternatives. Check our web site or give us a call for more details. 4. We even have something that the lady passengers and cold blooded drivers always appreciate, the RevingtonTR heater upgrade kit RTR1395K, RTR1396-1K and RTR1396-2K. These are always well received. Finally, sorry but it has to be said, with Christmas fast approaching (less than 13 weeks now) it might be time to start considering getting your request in early or giving a gentle prompt for a little something for the car. 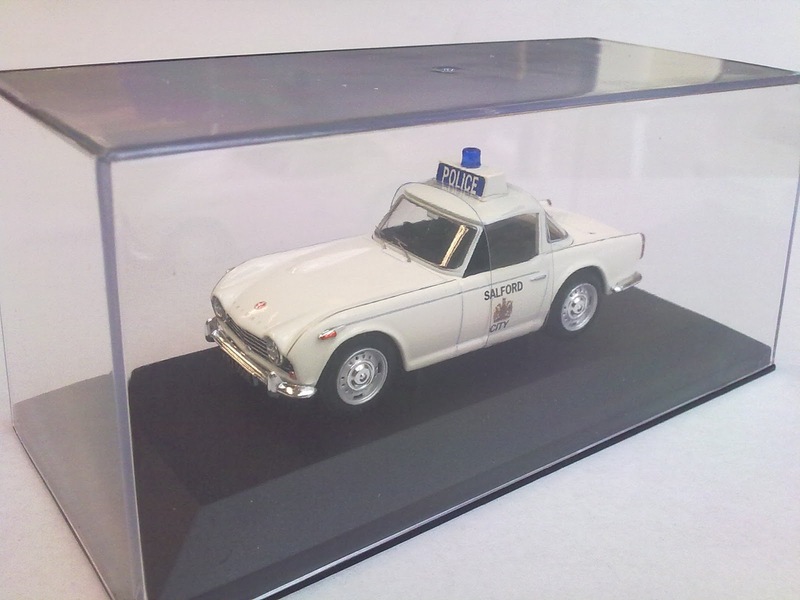 From gift tokens, models, DVD's to more specific items, you know we can supply most things. We look forward to hearing from you shortly. Have a great day. 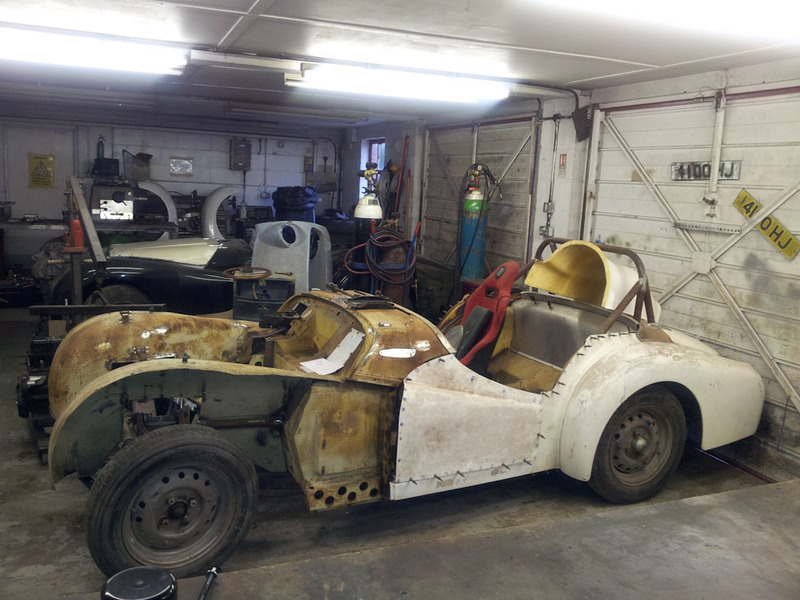 Neils latest project received its MOT this week making it roadworthy for the first time! The Triumph Beta was a development project that paired a TR3A body to a TR4 chassis. 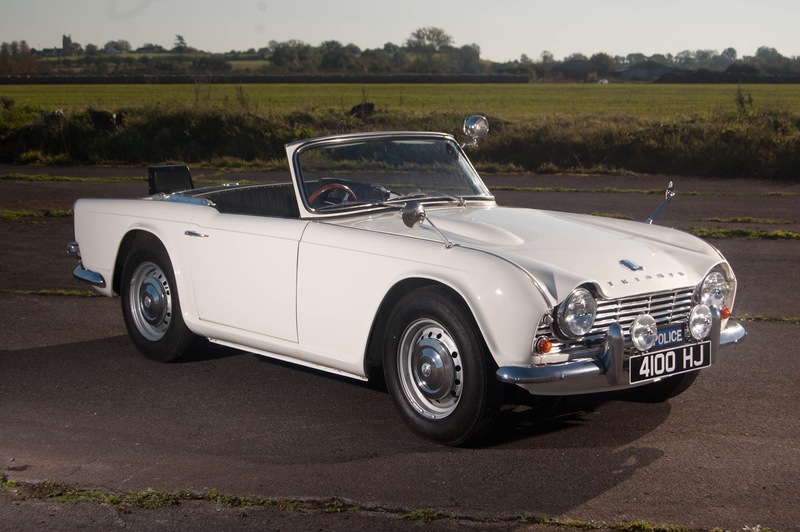 This meant the body needed wider wheel arches to cope with the wider tracked TR4 chassis - but Neil didn't stop there. 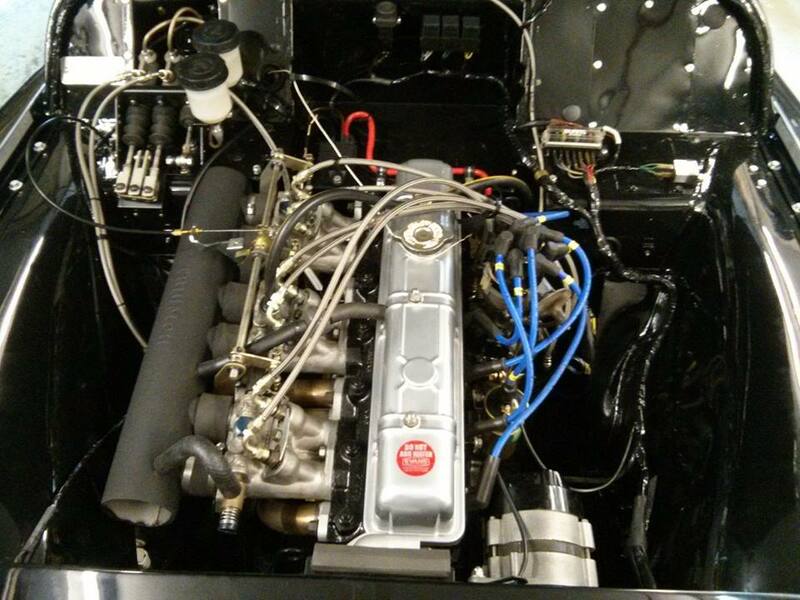 It is now fitted with a tweeked Triumph 6 cylinder engine and a complete Revington TR suspension package. To see the latest faceboook posts visit RevingtonTR on facebook.We will be publishing more photos and details in the near future but for now please have a look at the photos below to see the latest stage of the still to be finished project. 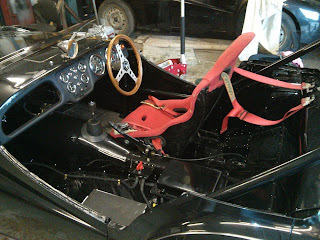 (Seat and harness were to get through the test only and will be changed when we have the correct parts). If you would like any further information please contact us on any of the numbers below. 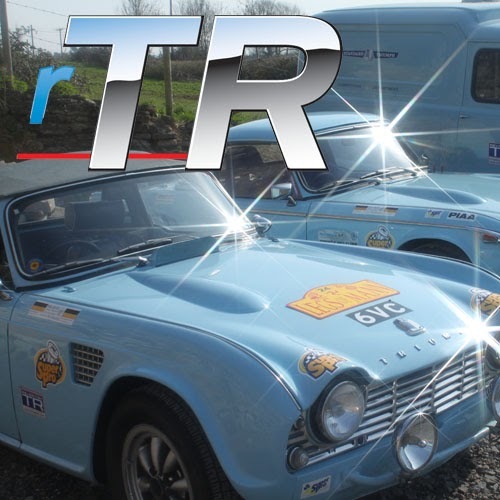 RevingtonTR wanted to find the best brake pad for our classic TR's. Following extensive on car testing the decisive winner was Mintex. We now stock Mintex material wherever we can for the TR range. A wide range of pads and material is also available for many other classics not just Triumph TR's. From standard road M1109 to race M1177 materail, we stock a selection of the most common types of pad/material mix. If you know the pad number, check out the prices on our web site by clicking on the link below. Alfa, Ferrari, Ford, Porsche, or Rolls Royce, we have a wide range in stock. Check out the web site or give us call. 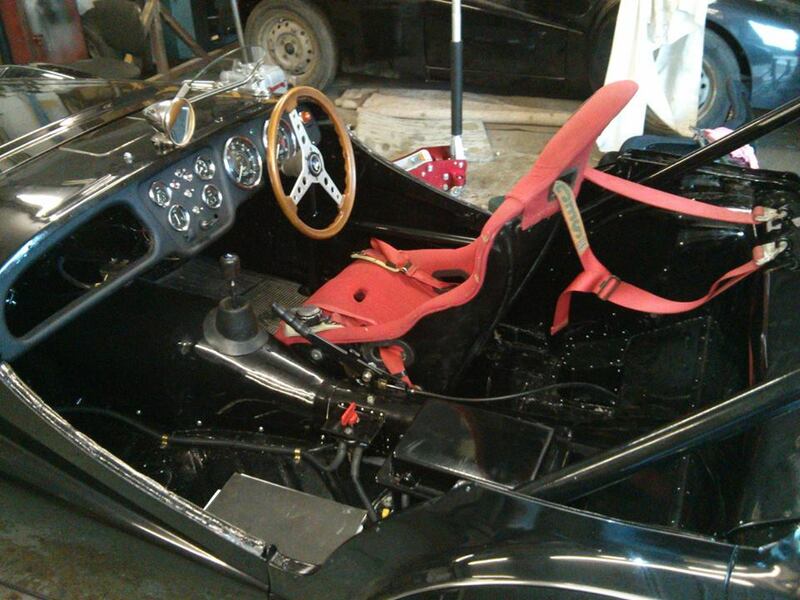 Neil Revingtons latest project is now well on its way to completion. 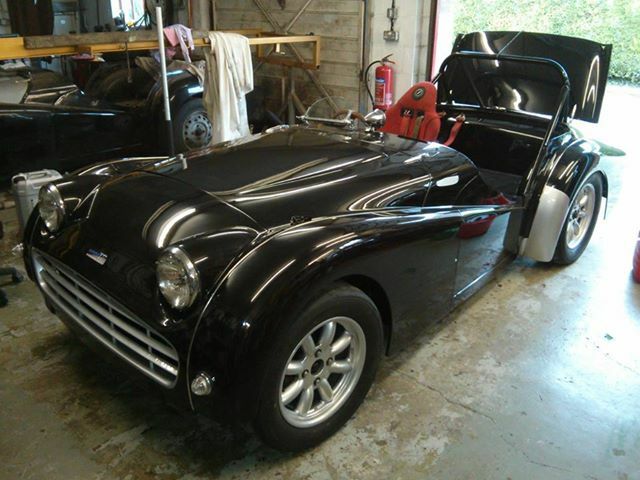 With a great spray job in black and little silver styling panels it really is looking good. It's a super looking car with a few suprises under the bonnet that I'm sure will be of interest to most of our TR friends. 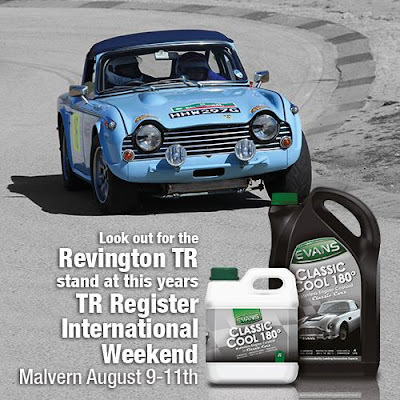 It will be making its show debut at the TR International, Malvern in August 2013. If you can make the show come along and see the (hopefully) completed vehicle. It will also be out on the championship circuit at the tail end of this year (2013). It will be interesting to see how these "little surprises" work out on the track, watch this space! Once it is completed we will let you have the full story and photos of this great little car. See it at Malvern or wait for our blog update in the near future. RevingtonTR have a range of fantastic Mintex brake pads and a few shoes suitable for many classic cars. The brake pads and a limited number of shoes, fit across many marques from AC onto Aston Martin through BMW, Ferrari to Volkswagen and Wolesley. The quantities we have are limited so give us a call and see if we can help supply you or your club. (Trade enquiries are also welcome). Listed below are the Mintex part numbers, if you have the pad number you can see if we currently have it in stock (27/6/13). We have a cross reference file available for most marques so we should be able to track down the pad you need. I hope we can help and we look forward to your call. Prices vary so please call us on the number below for the latest price. Our regular customers will be aware that we try to send out a Newsletter once a month but it is usually once a quarter or even longer. Here is the Newsletter from June 2013. Some of the content refers back to the blog but please feel free to view the Newsletter and sign up for future editions. Click on the link to see the Summer 2013 Newsletter. 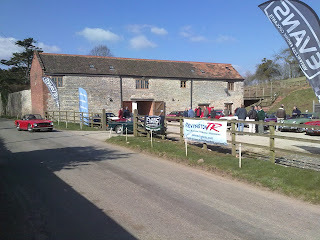 Here is a short video from the Blyton Test Day. (It is shakey in places but it does give a good feel for the circuit and the type of day it was). 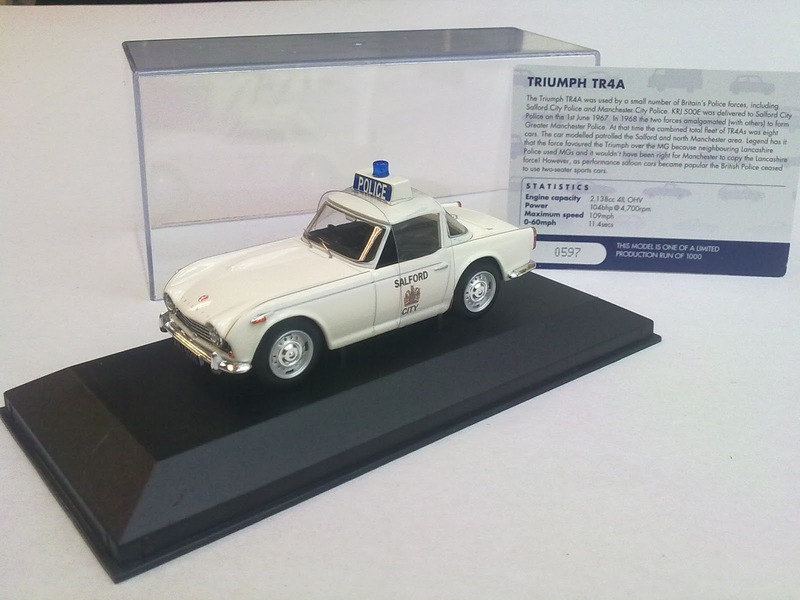 It shows the ex works Triumph TR4 - 6VC with Natalie Revington at the controls. In the passenger seat is Neil Revington, the cars owner, helping her get to grips with the cars handling. Natalie will be competing in the RevingtonTR and TR Register Hillclimb and Sprint Championship in the near future, so improving her racecraft is a top priority. More news of the car she will be competing in will be announced in the coming weeks. I'm sure you will join me in wishing Natalie good luck in the competition. 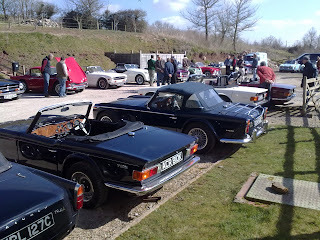 If you missed this you missed a great day - so read on and see why you should have been there. For us from the south of England it was a long drive up to Blyton but while we anticipated a great day of testing we could not anticipate how good it really was going to be. The team from Revington, Neil, Sue, Marcus, Natalie and Toby Cole set off on Sunday to ease the pain of the journey. Staying in the area overnight on Sunday made the start to the day a lot easier for them. Sunday dawned with a forecast for a clear day with very low wind and for once the forecast was correct. Clear blue skies from start to finish with only a hint of a breeze. The race-box and awning were erected to provide sun shade rather than cover from the rain and the test day began. We took 6VC so that Marcus, Natalie and Toby could see how the car performed and get to grips with its handling. After the safety briefing the car was on the go all day with only short breaks for drivers and car to allow both to take a short breather and advantage of the free tea and coffee that was on offer all day. The track was busy the whole day with the 20 cars and 50 drivers exploring both their own and their cars limits. It truly was a great circuit to have a test day with wide run off areas, no Armco or other barriers to spoil someones day. We took a few spares from stock to support the event, normal service items that we thought drivers might need during the day, oil, plugs, points, belts etc but fortunately we did not need to open the boxes. Neil said that “it was great a day giving Marcus Natalie and Toby an opportunity to explore the cars limits without the pressure of being in a competitive environment and on such a wide open circuit. This will give them a great start to a new season which I know they are all looking forward to”. We are already being asked when the next day will be. We are fairly certain there will be another so watch out for the next date and make sure you book your slot, you will not be disappointed. For more information regarding the RevingtonTR and TR Register Hill climb and Sprint Championship please contact us by one of the links listed below. It’s that time of year once again. Time to start thinking about the TR Register International Weekend. In case you did not know, this year’s event is being held at Three counties Showground Malvern on the 9th -11th August and of course we will be there. We are hoping for another great weekend as usually it’s only the weather that tries spoils it. This year we will be in the main WYE HALL on stand L9 and L10 in the same area as the TR Register stand, so we should be easy to find. As usual we will have cars on display, special offers and staff available to answer any questions. This is a great social event as well as a fantastic showcase for the cars and products. We hope you can make it and look forward to seeing you there. At RevingtonTR we have always been happy in the knowledge that our suspension kits give a massive improvement over the original specification. As the article below says, “a lot can happen in 50 years”. 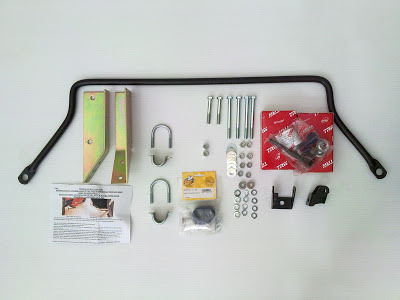 Ride and handling is greatly improved by new spring rates, anti-roll bars, damper settings and in the materials used. 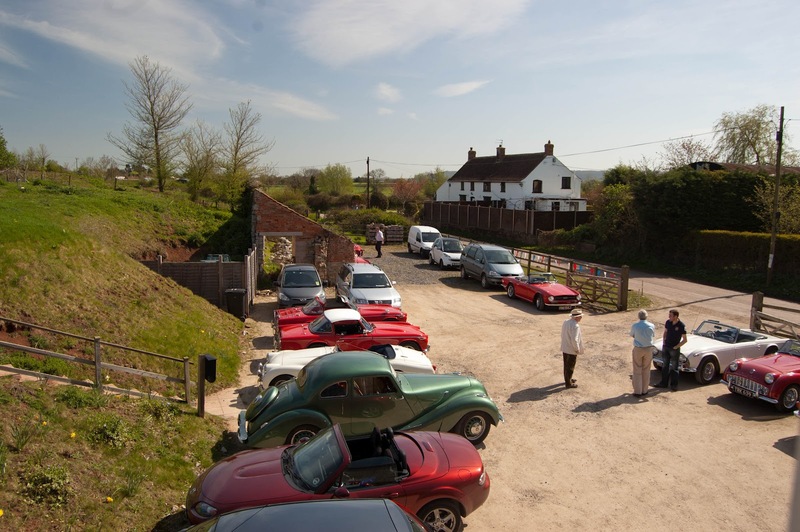 But don’t just take our word for it, see what a customer has to say by clicking on the link to the article from Hemming’s Sports and Exotic Car Magazine. The RevingtonTR kits are available for all TR’s and come in several different specifications for different requirements and set ups. Why not have a look at the article and give us a call if you are interested in upgrading your TR. We look forward to speaking to you shortly and helping you to enjoy your TR to the full by fitting a RevingtonTR Suspension package. Please click on the link below to view one of our suspension packages. Please search the site for other kits or call the number below for more information. 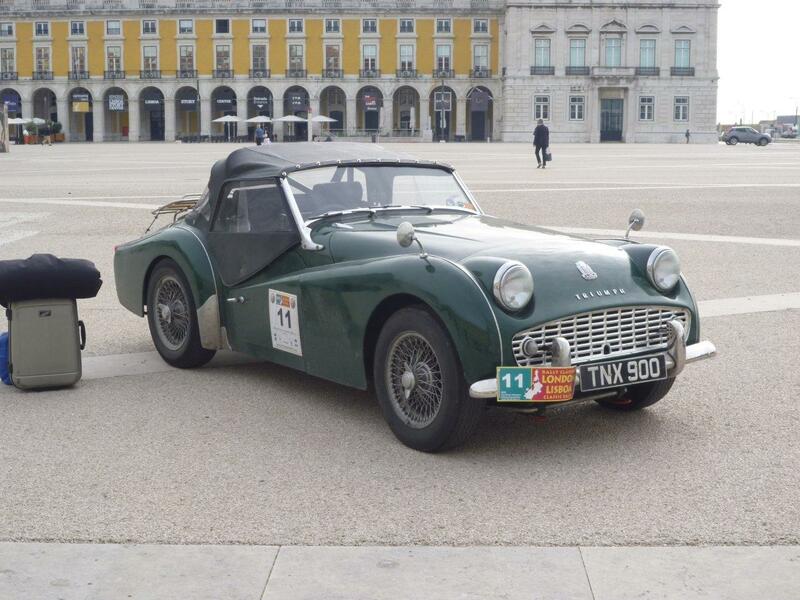 Here are a few words from one of our customers who has just completed a rally in his TR3. If you have any reports of events or adventures you have had in your TR please let us know and we will get them posted on our blog. TNX900 (1955 TR3 with TR3A front apron) just arrived back in the UK from the HERO London to Lisbon Classic Rally. Over the 9 days, and nearly 3,000 miles, the car was close behind the 911’s on the tests, no doubt helped by the suspension mods from Neil et al. Unfortunately the driver and navigator did not perform quite as well on the regularity sections and only finished the event about half way down, or up, the field. 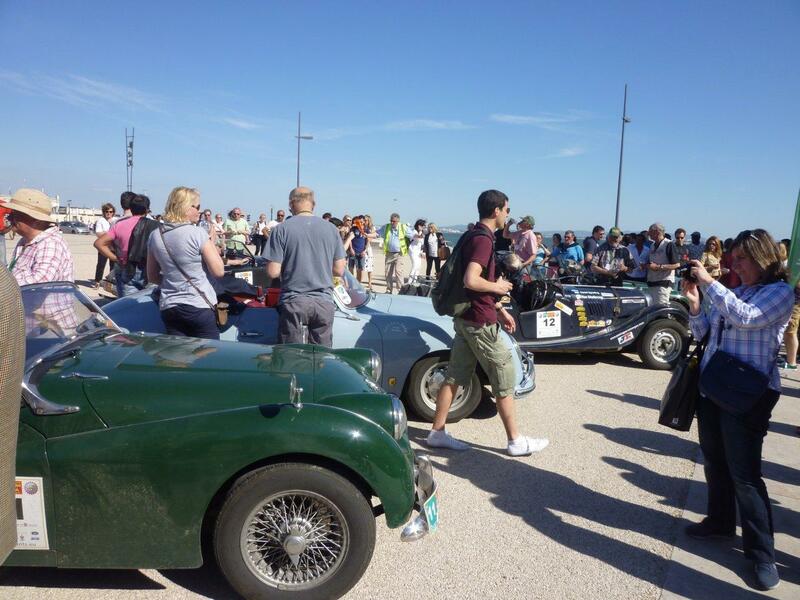 Fast driving on Southern European roads in nearly 30 degrees did result in some problems and the fellow competitors were getting a little tired of giving push starts after the starter motor failed on day 3 of 9. However, Carl provided excellent service shipping a new motor to Portugal which, once fitted, provided excellent and fast starting that saved great embarrassment in front of the Portuguese crowds when the driver stalled the car on a start/stop test ascending the famous Caramulo hill climb. 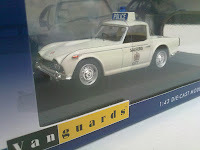 Now in the rather cold and wet UK the car and occupants are looking forward to some rest and recuperation. The Salford Police TR4A has been eagerly awaited for some time. Well the wait is now over and this great little Hornby Vanguard Classic 1:43 scale model is available from RevingtonTR. 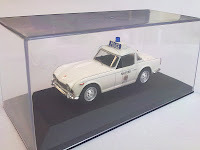 The model comes in its own display case and has its own identity card showing the number in the limited edition run this car was built. It looks great in the box but even better in its display case. Click on the link below to buy and own yours today. This is a 1:43 scale model of the TR4A in white livery and Police markings complete with a roof sign. Please click on the link to order. Mark and Joe of Jigsaw racing Services have once given us the opportunity to race other Triumphs in their 20 minute invitation race, this time at Snetterton. 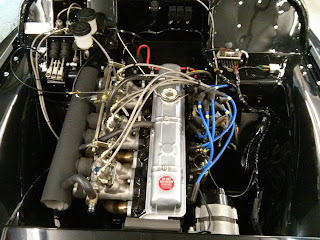 The grid consisted of 14 Triumphs and Triumph derivatives, ranging from David Bailey’s very rapid 2400cc TR4, a Dolomite sprint, a smattering of other TR’s a range of Spitfires, GT6 and Vitesse and Celia Stevens in here 3.5 Litre Warwick. Practice was damp with dry patches which ensured we were all up to 2 seconds off the pace. David Bailey took pole with Tony Crudgington’s Dolomite 2nd, Phillip Lambe’s TR6 3rd, Clive Gimson’s GT6 4th, My TR5 5th and Celia Stevens Warwick 6th. The race was a clean fight as they say, with no contact which is always good. David’s TR4 streaked away from the start and I managed to get alongside Phillip as I saw Celia streak ahead out of the corner of my eye taking several places. For a while Celia was in front of Clive whilst the front 3 were steadily pulling away but Clive eventually got past Celia and set off after the others. That left Celia and I to battle it out, for 5th and 6th. Time and again I was able to get right up close and personal and on a few occasions past her on the corners but on each occasion the significant extra power of the Warwick’s 3.5 litre engine meant that Celia could easily steam past on the straight so that the same scene could be played out at the next corner. 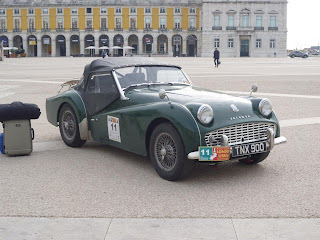 Celia peddled the Warwick really well considering it runs on Cross ply tyres and after the race we has a good laugh and big smiles recounting our dicing and agreed that whilst the TR5 might have handled better, there is no substitute for cubes as the Americans say. David Bailey took the chequered flag and the order up to 6th stayed the same as the starting grid with the exception of Celia and I swapping places; grrr! Congratulations to David for winning which I believe is his first racing victory in 40 years of competition, so a very special day indeed. Very special thanks to Jo and Mark for organising and I hope they organise a similar event next year. I will be there if other commitments allow if they do. 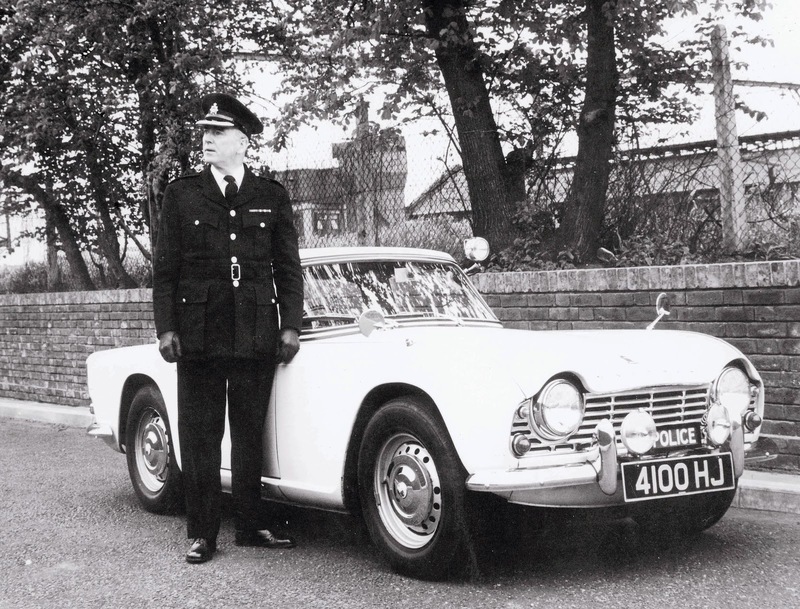 Many of you will have followed the detailed refurbishment of the Police car owned by Neil Revington over the past couple of years. You may even have seen it at the TR International or several other shows around the country. Some of the details have been published on this Blog and in our Facebook postings. Well, now you could own this car! Neil has decided to sell the car. It was recently offered for sale at the "Historics at Brooklands" auction on the 1st June 2013. 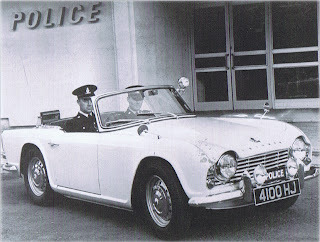 With the original registration, 4100 HJ as seen on the original Police photos, it was a big draw but - it failed to reach the reserve price. Neil is now offering the car for sale privately.